During your first year at university you’re probably wondering: How am I going to get all this reading done and still eat and sleep? Managing to read textbooks efficiently means targeted reading with a strategic plan of how manageable chunks of information are clearly understood . This system may prevent us from being overwhelmed by the task of large amounts of reading. Better organisation means that reading can harvest much more information rather than ploughing through a pile of textbooks with no plan other than to reach the end. The quickest and easiest way to find a book is to search for it on the Library website http://library.lincoln.ac.uk. Enter the title of the book into the search box. Make sure the ‘Find books’ aerial button is selected. If the Library has the book, click on the title link to see information about how many copies there are, where they are located (the shelfmark) and whether they are available. If all copies are checked out you can request a copy by clicking on the ‘Reserve this item’ button. How many books can I borrow and how long can I have them? Your student ID card is also your Library card. You will need this and your Library PIN to be able to use the self-issue machines that are located on each floor of the University Library. Unless the item is reserved by another user or returned we’ll renew it for you automatically. One week loans: you will receive an email 2 days before the item is due letting you know that it will not renew. The item must be returned promptly. 4 week loans: you will receive an email letting you know the item has been recalled. You will then have 7 days to return it. You can search for journal articles by entering your keywords into the Library website http://library.lincoln.ac.uk Make sure the ‘Find books and articles’ aerial button below the search box is selected. For a more comprehensive search, select the ‘Advanced search’ option. 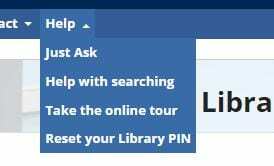 If you would like help with searching or using the library website, click on the ‘Help’ tab on the Library website. This answer was also entered onto the Just Ask forum available on the Library website. We understand that when you begin your studies at the university, referencing can be a labyrinth of confusion. 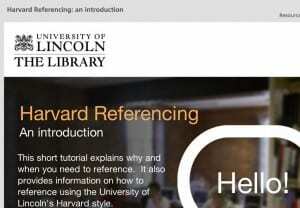 Fortunately the Library has produced a tutorial which compliments the Harvard Referencing guide (available in print and online). When you’re a student information is everywhere. 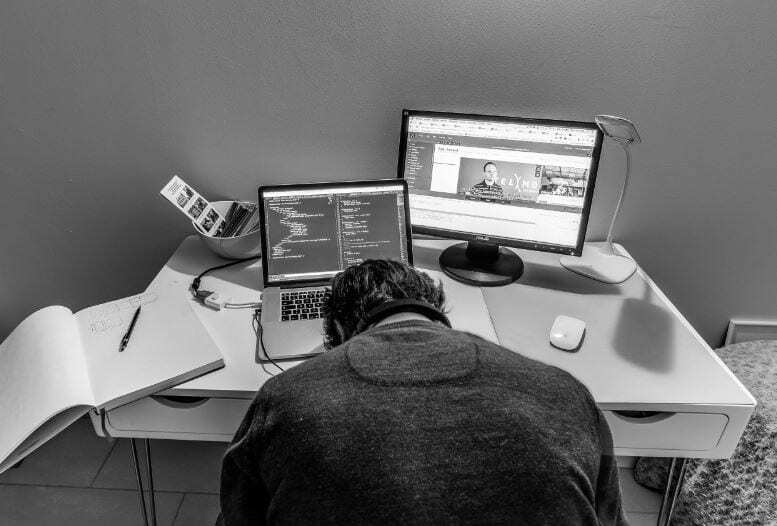 Plagiarism can be problematic when compiling lots of information from several different places, but it is something every student needs to be aware of. Thankfully, this plagiarism tutorial was produced by the Library and explains what plagiarism is and how to carry out good practice. You can test your knowledge at the end. Don’t take notes to start with. See what literature is out there and get to know the subject first. This will give your writing more confidence and inform your assignment structure. As an advocate of slow reading, I recommend that you find one or two decent articles and slowly read what they say. Skim reading is effective at finding the right sort of information, but less effective when trying to know a subject inside and out. Don’t accumulate hundreds of references that you haven’t properly read simply because it looks good. There’s a temptation at the university to retrieve lots of articles because it’s easy to do, but do they accurately respond to the assignment question? After getting to know the subject well enough, design a mind map to consider each bubble as a paragraph or theme you want to explore. Writing the assignment will be easier because you’ll have a ready-made structure. No doubt this will evolve, but it will be starting point for your work. The University Library implemented a new system in the summer, alongside several improvements to the Library service. Together this is the biggest change to the Library in over a decade. We have worked closely with students to understand what they want the new library system to do, what extra services they require, and how this can enhance their academic journey. Search the Library – it is easier to find material across the physical and digital collections. Automatic renewal – if a book is not requested, the system will renew your book for you. Recalls – you can recall books that are on loan. Simplified loans – we have reduced the number of loan types. We have increased the amount you can take out of the library. There is an improved requesting system. We have better notifications and personalised communication. There is the ability to manage your library account on mobile devices. You can see your full loan history. There is a new search facility. We have introduced recalls, requests and automatic renewal. Automatic Renewal. If a book is not in demand by another student or member staff, books will automatically renew. This will reduce fines and increase access to books. Students and staff are encouraged to request books on loan. If a book is on loan, students and staff can request the book and it will be recalled to the library. Books will be recalled by the Library if they are in demand by other students or staff. If a borrower has a book that has been recalled, they will receive an email asking for the book to be returned to the Library within 7 days. Fines are only charged if a book has been requested by another user and it is not returned by the due date given. The Library reviewed how the collection was used in the year before the new system was implemented. This information was used to determine the loan types. An analysis of high demand books, for example, ensured that we have a reference copy in the library of the books that are most popular with students. We also examined three day loans that had not been borrowed in a year, and these were changed to one week loans to encourage greater use. One week loan items remain unchanged. High demand normal loans have become one week loans to ensure students do not need to wait for books. Other books now have a four week loan period to encourage use by students. The aim is to simplify loans and encourage more students to borrow more books. Your account information has moved to the new system including all books on loan. Your account log on details remain the same. Your loan limit has increased: all internal borrowers will be allowed up to 30 items. If no one else wants the book you have out on loan, it will automatically renew. Loan periods are simplified. In line with student feedback wanting books for longer, we have removed the 24 hour and three day loan categories. Normal loan books have become 4 week loans. In addition the new system allows us produce better management information about how staff and students use the collection. This will better enable us to acquire books and change loan types based on staff and student data. The library will become more dynamic based on how it is used by students and academic staff. It is also possible to access individual electronic databases and electronic journals from the ‘Find’ menu on the Library website. We are confident that we are continuing to improve our services for you. We hope you agree and we would be interested in any feedback (library@lincoln.ac.uk).